In The Wind EOPM is provided for you and if you think it can be optimized such as adding the dynamics etc, welcome to provide us with the more perfect In The Wind EOP and EOPM! 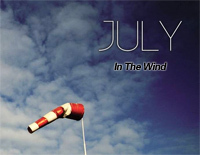 In The Wind is a piece of music performed by July, coming from South Korean. July is a piano music producer, dominated by Jazz-HipHop. And My Soul is his representative work.